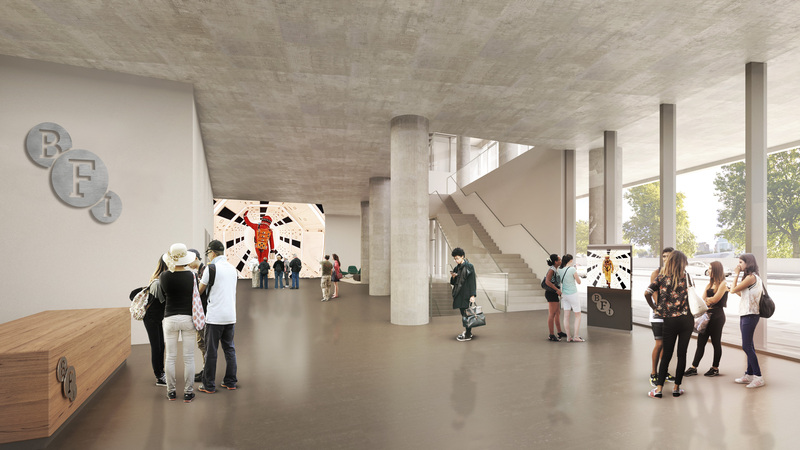 The BFI has been selected as the cultural partner for the proposed development. The BFI was founded in 1933 and is a charity governed by a Royal Charter granted in 1983. The organisation combines cultural, creative and industrial roles, bringing together the BFI National Film and Television Archive and BFI Reuben Library, film distribution, exhibition and education at BFI Southbank and BFI IMAX, publishing and festivals, including the BFI London Film Festival. The BFI awards Lottery funding to film production, distribution, education and audience development and delivers market intelligence, worldwide export initiatives, policy development and research for the benefit of the whole UK film industry. The BFI’s role is to encourage filmmaking that expands the possibilities of storytelling and form, investing where it can as a catalyst for progressive change. It brings a wide variety of moving image media to audiences and supports education activities. All the BFI’s activities are underpinned by a commitment to diversity and inclusion. The BFI 2022 vision is set out on the BFI website http://www.bfi.org.uk/2022/ . This is a 5-year strategic plan to support the future of film and the moving image in the UK and includes the ambition to create a world-class space for industry, audiences, students, filmmakers, writers, artists and technologists to engage with ideas at the frontiers of the art of the moving image. Indeed, BFI Millbank is to become the embodiment of this vision. It will be a destination for radical new collaboration, experimentation, education, curation and creation of new forms of the moving image, a place to develop new ideas, work with emerging creative talent and curious audiences, including the BFI’s priority 16-30 audience.